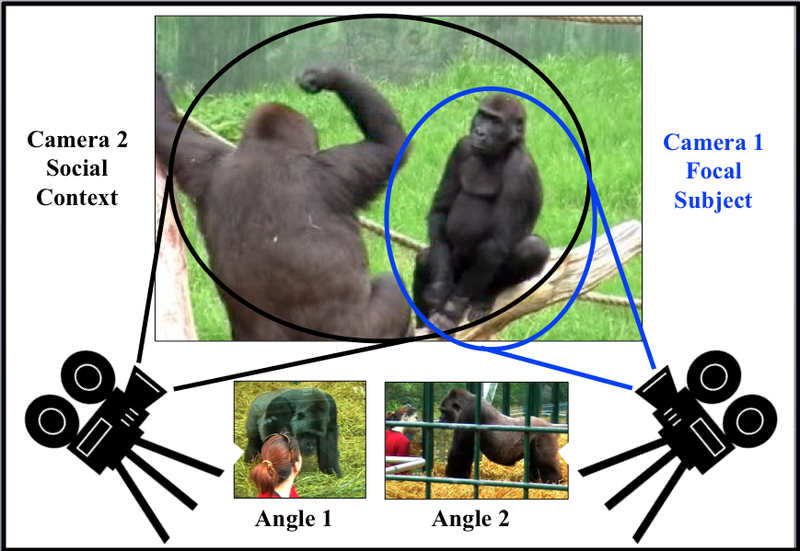 I capture, code and analyse the, naturalistic behaviour of great apes, typically developing children and children with cognitive delays and/or disorders to gain a better understanding of the development and organisation of biological mechanisms underlying human cognition. A dual camera recording technique allows for detailed focal subject images to be viewed alongside a wide-angle view that captures contextual data. 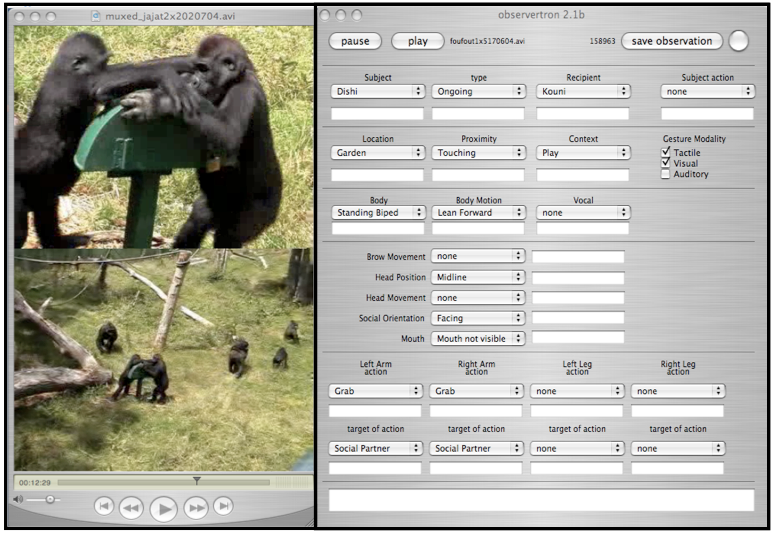 The OBSERVATRON software controls the dual- perspective video streams for coding. Without a priori hypothesis, the MDM reveals quantitative patterns in behaviour. For example, recent analyses demonstrated that both humans and apes possess a right-hand bias specifically tied to interactions with inanimate objects. Right-handedness, once thought to be unique to humans, is likely to be a trait shared by and inherited from a common human-ape ancestor that is a marker of domain-specific neural processing.